Develop a remote event receiver which will get fired when items are added inside custom lists that are found under a site collection. after that i set the Handle App Installed and HandleAppUninstalling properties to True. System.Diagnostics.Trace.WriteLine("Found existing ItemAdded receiver at "
System.Diagnostics.Trace.WriteLine("Added ItemAdded receiver at "
System.Diagnostics.Trace.WriteLine("Removing ItemAdded receiver at "
now i trust the addin >> i add a new item inside the "tg" list, and its title got updated.. GREAT things is working at this point. now I trust the addin, but when i add a new item inside the "tg" custom list its title did not chnage!!. so my first question is how i can attach the RER to all the custom lists inside my site collection ? Successfully uninstalled the SharePoint Add-in. ErrorDetail: The remote event receiver callout failed. so does this mean that i can not test any provider hosted app unless i have an Azure service bus end point? Can anyone advice on the above 2 issues i am facing? 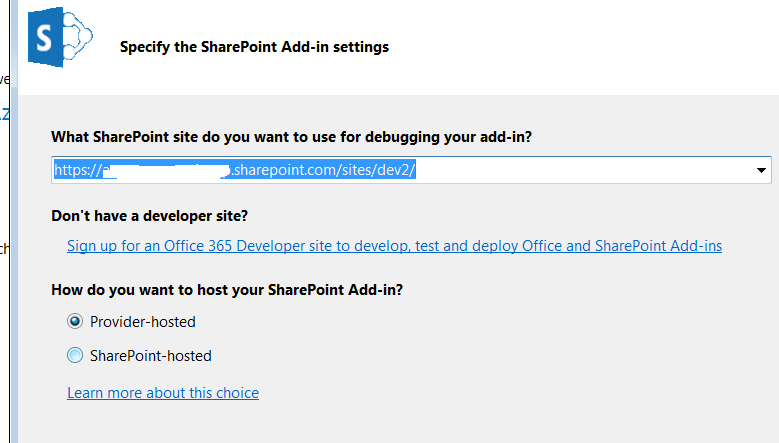 Browse other questions tagged sharepoint-online development office-365 provider-hosted-app azure or ask your own question.